One of the keys to succeeding on social media is reaching your audience at the optimal time - when they are online and more likely to engage with your content. 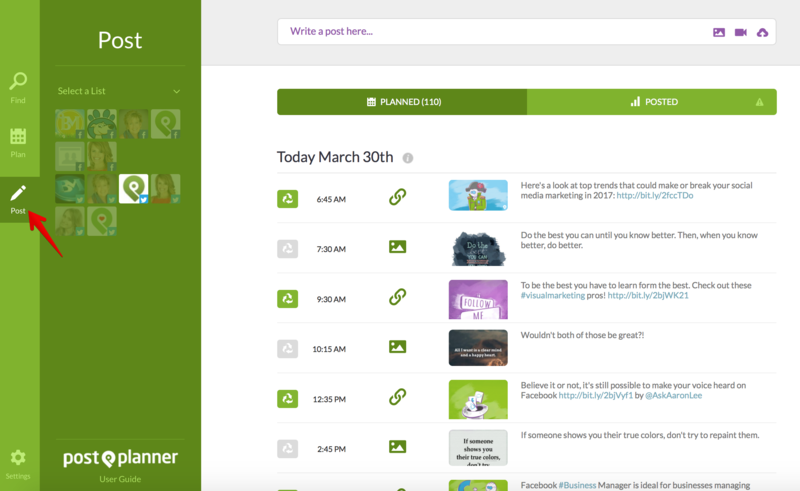 If you know when that is, or if you just want your posts to go out at a specific time (or on a specific day), you can easily schedule your posts inside Post Planner. 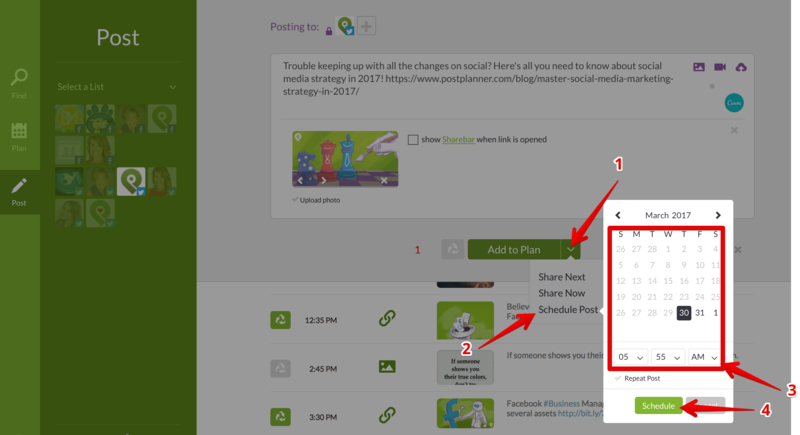 STEP 1: Click the Post icon in the left sidebar menu. Click inside the COMPOSER panel at top of screen. Step 5. 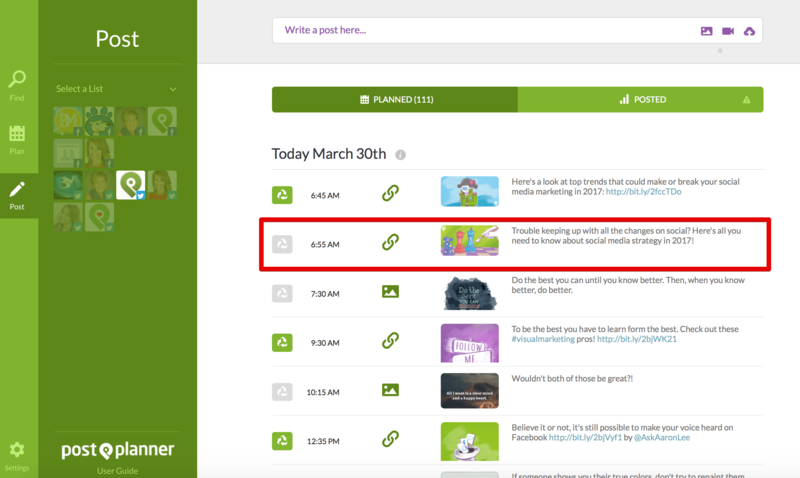 "Add to Plan" or "Schedule"
To Add to Plan (add into the queue) - Click the dropdown arrow on the green "Add to Plan button".